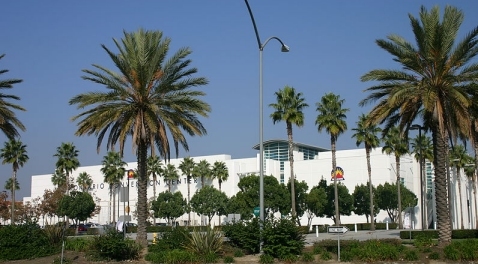 This is the Ontario Convention Center, where the California Homeschool Conference was held. This past weekend, I spoke at the California Homeschool convention in Ontario, California. 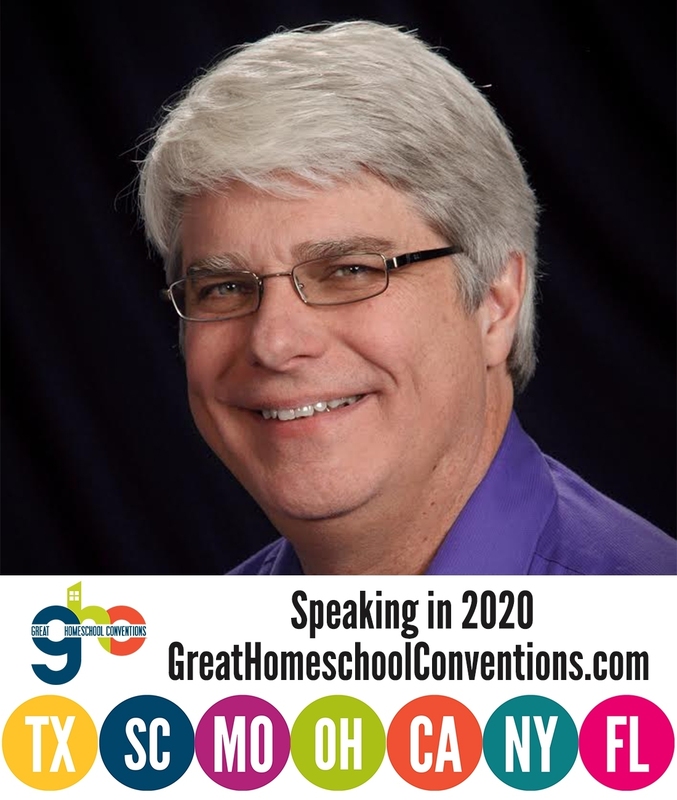 It is a part of the Great Homeschool Conventions series, and as such, it offered a wide range of speakers as well as a big exhibit hall in which homeschoolers could examine the many great resources that are available to them. It was the first year for this particular convention, and that usually means a fairly small crowd. It generally takes a while for a homeschooling convention to get established, so you don’t expect large crowds in the first few years of a conference. This first-year conference defied that trend. It attracted a big crowd, and I was pleasantly surprised. I gave five talks at the convention, two of them with Diana Waring. My “solo” talks were Recent News in Creation Science, The Bible: A Great Source of Modern Science, and Teaching Elementary Science Using History as a Guide. The talks I did with Diana Waring were I Didn’t See That Coming and Arguing to Learn. The talks were well attended, and the audience members were actively engaged. As is usually the case, I got a lot of great questions over the course of the convention. The one I want to discuss here was asked after I Didn’t See That Coming. In that talk, Diana Waring and I discuss how to help your older children find what the Lord is leading them to do with their lives. We stress that as parents, we need to offer help and advice, but as the children mature, they need to listen to the Lord for themselves, and we have to give them a lot of leeway in following the path they think the Lord is leading them to walk – even when it isn’t the path we think they should walk. During the question/answer session, one parent asked a very important question. I can’t quote it exactly, but in essence, he asked what we should do when our children think the path the Lord is leading them to walk involves going heavily into debt (e.g., for college) for a career that won’t pay much money. The questioner mentioned Dave Ramsey, who would strongly urge against such a thing. Since I was giving the talk with Diana Waring, we both took turns answering the question, and it turns out that we disagreed. Diana essentially said that she would support her child in that endeavor. In the end, if her young adult child really thought the Lord was leading him or her down that path, the financial considerations should not be a factor. The Lord would take care of them. And, in fact, she told the questioner she had done just that. One of her sons is artistic, and he ended up attending a very expensive conservatory. They spent a lot of money they didn’t really have to help him, and he also accumulated a lot of debt. Nevertheless, she, her husband, and her son agree that the expensive conservatory was precisely what he needed to develop his God-given talents and follow the Lord’s leading. I take a more hesitant approach to such situations. I think that while we should support our young adult children in following the Lord’s leading, we also ought to provide a practical perspective. I told the questioner that if the young adult’s plans involved acquiring a lot of debt so she could go to college and be a doctor, lawyer, or other similarly-paid professional, it’s a slam dunk. Of course she should go into debt, because that kind of career is a good investment. On the other hand, if the career that would result is low-paying, I think the student should try to pursue the career in a way that doesn’t accumulate much debt. Perhaps go to school part time and work part time so that she pays as she goes. It will take longer for her to pursue the Lord’s leading that way, but she will not be in such a terrible financial position. Perhaps it means not going to the “Harvard” of her plans. She might instead go to an online school or spend her first two years at a community college. The point is that she can still follow the Lord’s leading without producing a bad financial situation in the process. It just might take a little longer. To me, that is being a better steward of what God has given her. Diana Waring and I discussed this man’s excellent question afterwards, and we decided that we might just do a talk about it for next year’s convention season. That should be an interesting one, since we will probably bring two rather different perspectives to the issue. Dr. Wile, I can see the advantages of both yours and Diana Waring’s opinions, but I would offer one caution, which is that acquiring enormous debt for a profession such as law or medicine is not necessarily a slam dunk. A lot of kids are attracted by the glamor, prestige, and supposed income potential of those professions, but I know plenty of doctors and lawyers who are hamstrung by their school debt, to the point where a lot of options have been cut off, such as not being able to leave an unsatisfactory position or feeling they can’t have any more children. I have a friend, a neonatologist, who said that if she had to do it over again, she would become a nurse practitioner, because they have much of the same income potential with much less investment of time or money. Our own children who are interested in the health field have become, or are in the process of becoming nurses, including a son whose eventual goal is to become a nurse practitioner. Our son who was very logical became an accountant instead of a lawyer, and is debt free and doing very well in a large company. The point is that I would counsel a child who thinks they are called to law or medicine to count the cost, and to ask what is it that they truly want to do? Help the sick? Fight for the rights of the oppressed? Make a good income for a family? All those options are available as doctors or lawyers, but there are enormous costs as well, and those goals can be achieved by other means. The child should talk to as many members of their chosen profession as possible, and use that creative, out-of-the box homeschooling thinking to look at all the options, not just the most obvious ones. The difference may well be due to different views on divide guidance. The “traditional view”, very popular in old devotionals and perpetuated in much “God talk” today, teaches that one must discover God’s perfect individual plan for one’s own life. Supposedly, this might involve going heavily into debt, marrying a particular “soul mate” one barely knows, one barely knows because one feels ‘God’s leading’, moving to another area. However, there is disagreement about how one is supposed to discover this allegedly perfect plan God has for us, usually involving discerning clues that God ostensibly given us (and how frustrated God must be that we are often too stupid to see His clues for what they are). Thus the traditional view is characterized by immense subjectivity. Another view is taught in Decision Making and the Will of God: A Biblical Alternative to the Traditional View by Garry Friesen, and much more succinctly and helpfully by Dr Arnold Fruchtenbaum, The Spiritual Life and Divine Guidance. The basic idea is that when it comes to actions either commanded or forbidden by Scripture, explicitly or by logical deduction, then there is no need for prayer or anything else. Scripture settles it; we obey. But where Scripture is silent on the various alternative courses of action, they are morally neutral. So the believer can make any of these choices without sinning or disappointing God. The believer should thank Him for these open doors, which do not have to be entered. Believers should pray for wisdom for the best choice, but there is no need to agonize that God wants him to make only one choice. This non-traditional view of guidance fits best with the Sufficiency and Perspicuity of Scripture, and is thus objective. Thanks for your perspective, Dr. Sarfati. A Father’s Day Drama How Do You Design the Best Train? Copy the Designs of the Ultimate Engineer.